Did you know you can beef up your Google Maps listing with posts announcing special events, services, or products? This new Google My Business feature allows you to appeal to more new patients right in your search results listing. And it may even give your ranking a little boost. 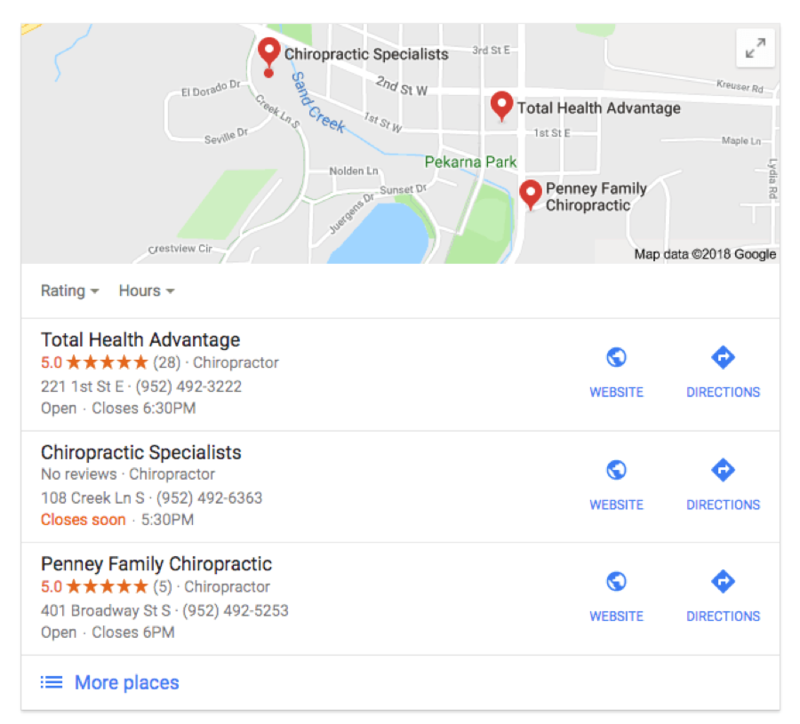 A Google My Business listing is a critical factor in any successful chiropractic SEO strategy. 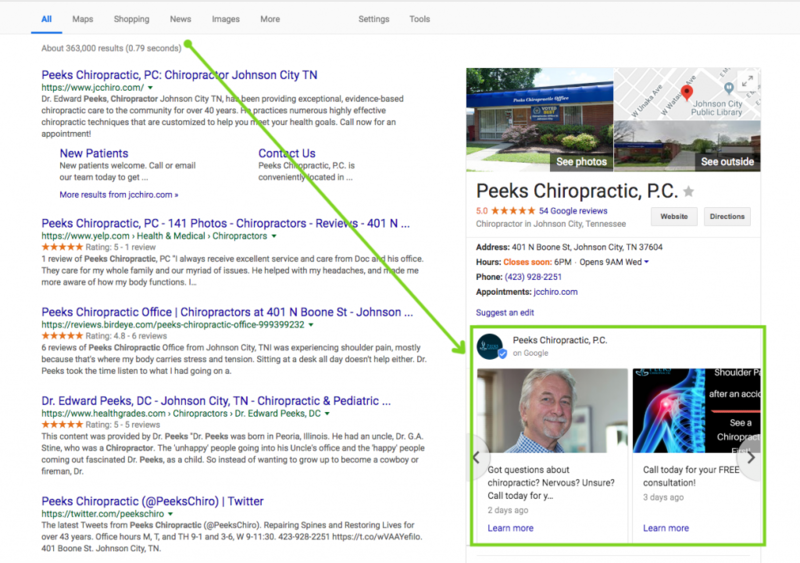 Having an accurate listing enables your practice to appear in the maps section of Google search results. If you’re a Perfect Patients Standard or Premium client, we will assist you in claiming and optimizing your Google My Business listing. Continue reading to learn how to post to your account. When you think about “posting” something, you probably think of social media posts. This is very different. You’re not going to post photos of your delicious brunch or your son’s soccer tournament to your Google My Business account. What you can post instead are special offers and announcements. Running a new patient special this week? Post it. Staying open late on Friday? Post it. Google My Business posts are meant to be timely; therefore, they are only prominent for 7 days, after which they can be found by clicking on the “Posts” tab when looking on a mobile device. If you have more than one post live, the newest one will show up first with the rest displayed in a carousel format. Before drafting your post, think about what you want your post to do. Are you trying to encourage new patients to schedule an appointment, announcing an upcoming event, or perhaps just sharing new practice hours? Have a goal in mind so that your post is focused (there is a character limit, so short and sweet is the way to go). Also make sure that you have a high-resolution photo to go along with your message. This helps your post stand out. You want your image to be in-focus and well-lit with vibrant colors. Remember: you want your post to stand out. A blurry photo of your front office isn’t going to cut it. Remember that character count we mentioned? You get up to 1,500 characters, but Google recommends sticking between 150 and 300 characters. So be succinct. And don’t forget your call to action – “Call today”, “Schedule an appointment”, etc. Next, select “Create post.” You will now see the option to add text, photos, buttons, and more to your post. Enter your information and click “Preview.” If you like what you see, select “Publish” in the top right corner of the screen. If you’d like to post using your mobile device, download the Google My Business app to make it easier. There you have it! An easy new way to make your business listing stand out in the Google maps results. And while there’s no guarantee that it will help your ranking, evidence suggests that in some cases it may. So if your maps listing needs a boost, give posting a try.